India seems to be the leading country when it comes to large and over-the-top skyscraper designs, and they’ve recently struck gold yet again. Smith + Gill Architects revealed their plans for Imperial Tower; a 116 story skyscraper set to take the throne as Mumbai’s largest building. The news is big, but it’s the company’s description of the building that’s caused some head-scratching among those in the industry. Essentially, the new building will be created to withstand wind storms and heavy gales, to protect the building from damage and possible keeling over. Its design will also be helpful during Mumbai’s sandstorms. Since there are very few super tall skyscrapers currently in existence (the Burj Khalifa is the world’s largest building, and is the only one of its kind so far), it’s difficult to form new data on wind behavior. 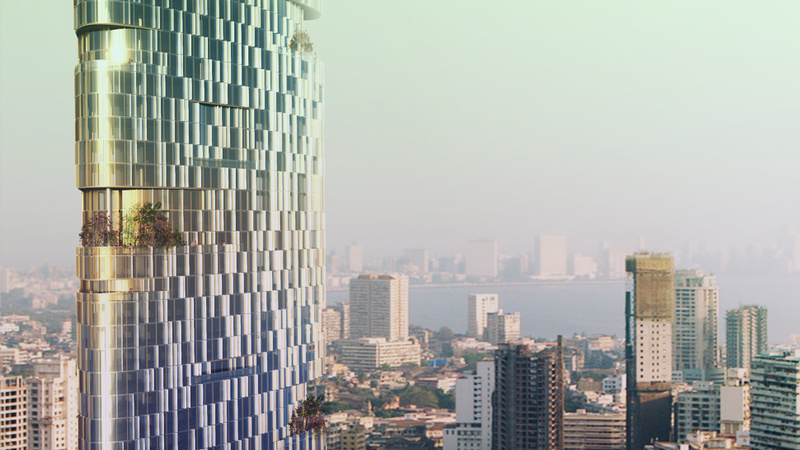 Still, the creators of this futuristic building in Mumbai believe they’ve cracked the code for skyscraper aerodynamics. The architecture company uses a wind tunnel facility in Waterloo, Canada, for their data. They also look to the auto and aeronautical industry for information, since, after all, these industries aren’t too far apart. This is essentially an experiment for the super tall building industry. Whether or not Smith + Gill’s design is a success or not, we’ll know soon enough, provided the project receives the green light for construction.